The advent of mobile devices as preferred gaming platforms, combined with an explosion of virtual reality applications, motion sensing technology has become a critical requirement. The ability to rotate your device with precise rotation rate while playing a game and have it sense that movement is something every high-end smartphone and tablet user expects. 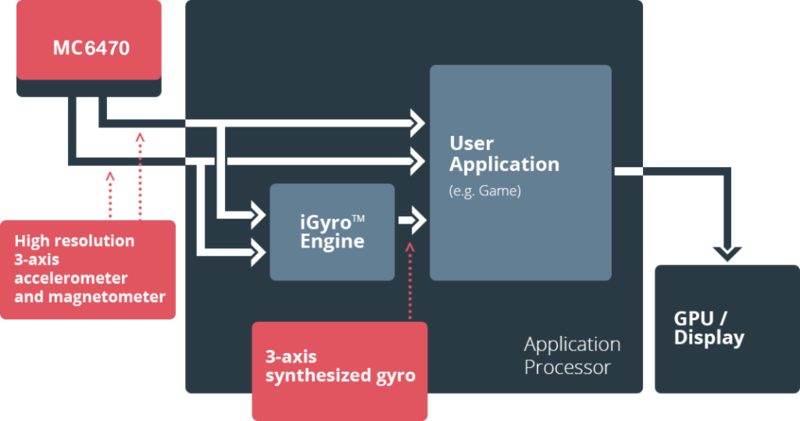 The problem, however, is the hardware component needed for true immersive gaming, known as a gyroscope or gyro, is expensive and consumes too much power to be offered in mainstream phones and tablets. As a leader in innovative MEMS motion sensors, mCube provides the industry’s only complete software-based gyroscope that delivers immersive, 9DoF motion gaming and augmented reality experiences to mainstream phone and tablet users around the world. With the mCube iGyro, motion gaming and augmented reality for Android mobile devices can now be enjoyed on nearly any smartphone or tablet regardless of price.